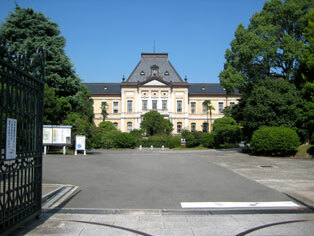 It was national important cultural properties in ANEWAL Gallery as ""Wa-On" promotion committee" this time, and it came to hold the event of "ECHO TOUR 09" in a history building and an old main building of Kyoto Prefectural Office being located in the central portion of Kyoto, too. Various artists concentrate in the place of old main building of Kyoto Prefectural Office without the chance to enter quite while it is in Kyoto regardless of the genre such as the performance, the play, the dance, forming, and musicians. It is not, and we will guide it to the history and the mysterious modern world that has not been felt with their guide calluses.